It's The Last Blog Post Of 2009! Note: The above comic book is just one of several that were published this year by Bluewater Comics in their Political Power series. 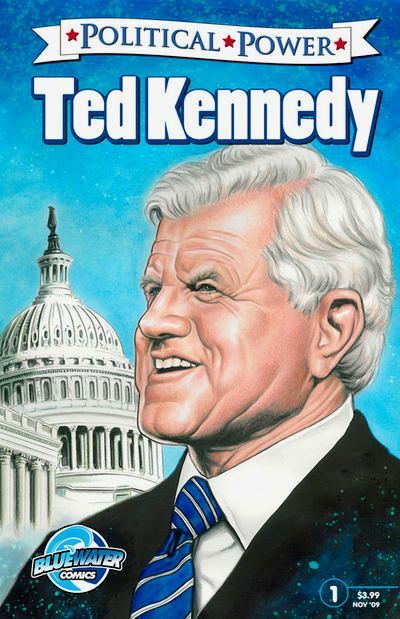 Please see this link for my review blogs on several comic books in this biographical series, including Colin Powell, Joe Biden, etc. Plus check their Female Force series on Barbara Walters, Princess Diana, and others. Look for all of these in the series at your LCBS this week. The ones I have read and blogged about were good reads! Check Your LCBS For Indy Comics All this Week! Note: The above locator service is NOT a personal recommendation by us. It is just listed here for reference so you can find a Local Comic Book Shop near you if you currently don't know of any, or if you can't find what you want in our own online store at ComicBooksCircus.com. Please note: Not all LCBS are listed in the service. The closest one to us for example, is NOT listed in the service. As the title of this blog post states, it is the last one for 2009! Thus I want to finish up the year by mentioning a few things that are ending for this year, some things that are extending into the new year, and some new projects planned for 2010. First, I have had several Facebook Friends thank me for publicizing the current 'Indy Comic Book Week' that started December 27th. The 'Week' itself continues into 2010, so be sure to go to your LCBS for indy comics, although the largest publishers don't have new issues out this week. We ourselves have seen an increase in 'indy comics' sales this week in our online store also! For our part...Tina and I will be having all the independents comics / graphic novels that we have ready to be sold listed in our online store at: ComicBooksCircus.com! Thirdly, If YOU are a comics or graphic novel creator, and would like to possibly see Your work mentioned or reviewed here in my Blog for the upcoming 2010 Year, please check this following link, where I tell you: "How To Best Submit YOUR Publication For Possible Review!" Fourth, for the upcoming year, I just received an email notice this very morning about an upcoming book that has a chapter written by me in it! So I'm all excited about 2010 for sure! I'll be updating you all on this upcoming book once a book cover has been selected for it! Lastly, at least for now, I want to thank All of You for reading this blog post today, and any others you may have read this year. Without You, blogging wouldn't be as much fun! So be here for 2010 for more informative blog posts! We look forward to informing You of new comics, films, comic cons and other pop culture topics that we are made aware of! Happy New Year, (early), to All of You! 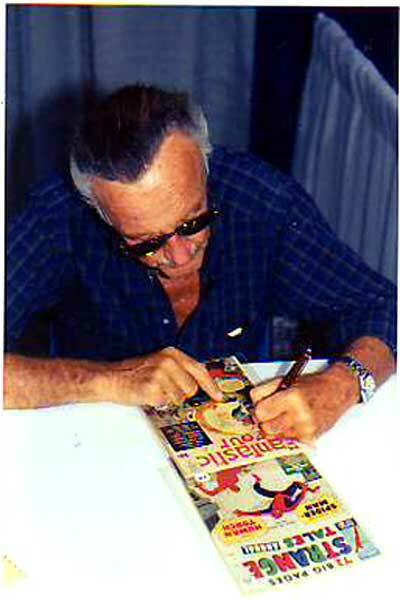 ComicBookCircus.com - Comic book collectors, fans and enjoy browsing our eBay store aisles of collectible comic books from popular publishers like Marvel, DC, Image, Boom, and major Independents. You’ll find bargains on all genres under the “Big Top” from Funnybooks to Horror to Westerns and Superheroes. Buy with confidence; we’ve been collecting, grading and selling comics for over 30 years. 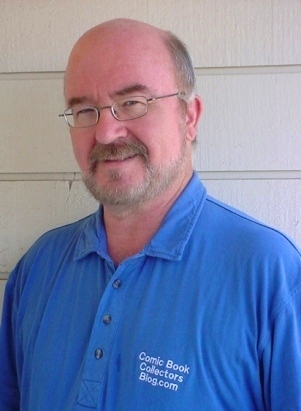 Michael D Hamersky is the Internet Sales Manager for this division. 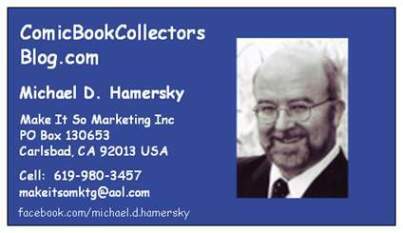 ComicBookCollectorsBlog.com Michael D Hamersky is the featured blogger on comic books, graphic novels and other pop culture topics. To submit your review copy or press release, please contact Michael directly via: 'How To Submit Your...'. 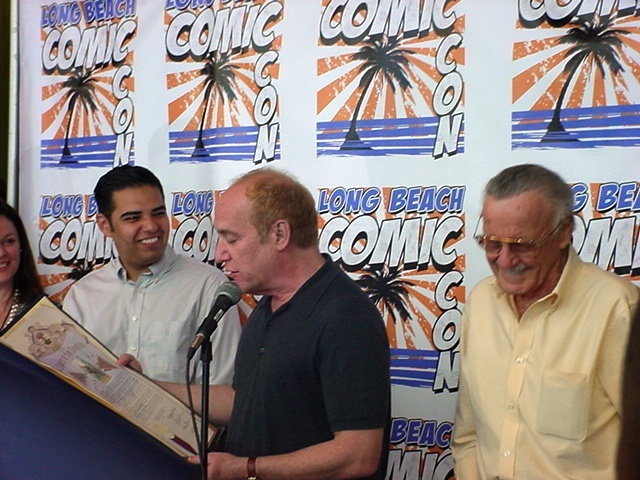 Facebook Comic Con | Make It So Marketing Michael D Hamersky manages this Facebook Group Page at the Facebook Virtual Comic Con where You can be interactive with what the Company blogs, lists, and talks about! The above are either re-directed, have been previously set up as individual site, or are actual 'live' websites now. Our Thanks to You for making 2009 an enjoyable year... Looking forward to communicating with you in 2010! 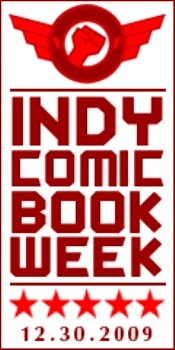 Indy Comic Book Week Started December 27th! 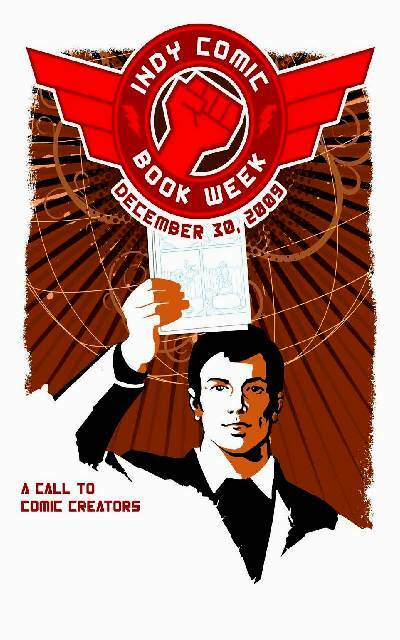 Check Your LCBS For Indy Comics All this Week, Including 'New Comics' Day On December 30th, 2009! Note: The above locator service is NOT a personal recommendation by us. It is just listed here for reference so you can find a Local Comic Book Shop near you if you currently don't know of any. My thanks to those that informed me of this upcoming event, including Jiba Molei Anderson, so I could blog about it here in my Blog! Jiba tells me that his newest work: "The Horsemen: Book of Olorun" is in select stores Dec. 30 for Indy Comic Book Week. I have blogged about his latest creation here at this earlier review blog. For more info on his works check out his 'Horsemen Graphic Novel Facebook Fan Page'! THE INK PEN MUTATIONS TABLE AT THE LONG BEACH COMIC CON: With all the creators that I met at the 2009 LBCC, I have been blogging first about those that had given me eithr a press kit or a copy of one of their publications for possible mention or review. I have been starting to publish photos of others that were at this con in Artists Alley, but whose works I was not familiar with yet, or had projects that weren't really comics or graphic novels, such as 'The Knight Rider Companion' book I blogged about earlier. 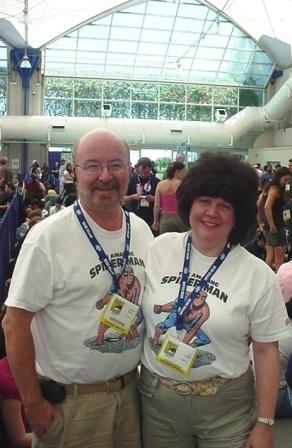 Below are two individuals that I have kept coming across at the San Diego Comic Con International, in recent years but never at a booth or table. I caught them at the Ink Pen Mutations Press table in Artists Alley at this LBCC. Below are Ave Rose and Rannie Rodil. Ave was showing me another work, 'Will Not R.I.P. 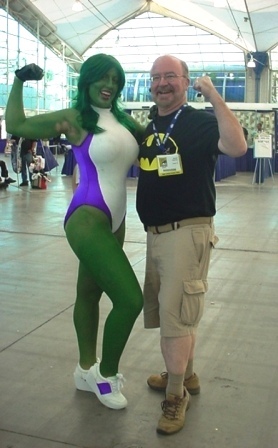 ', which was more in tune with this comic con. It was a prose text book with illustrations. However, when Rannie came to the our side of the booth, I was shown very briefly her photo book. The book, the two gals, and the booth are pictured below. The following is the promo info for 'The Living Dolls' project: "With fourteen beautiful live models, Living Dolls: A Photo-Poetic Paper Doll Project is a celebration of the diversity of women, the physical natural beauty that they were born with as well as their individual self-expressions through fashion. Using photography and graphic design, photographer Rannie Rodil has created a paper doll book that is playful as well as provocative. Included in this book are 14 captivating poems with themes such as love, lust, beauty, self-expression, female power, the idea of a modern living doll, etc. Written by some of LA's most notorious underground poets! Published by Ink Pen Mutations Press". My thanks to both of them for showing me a couple of their works during the busy LBCC! For the New Year 2010! Come One... Come All... To The Big Top Of Comics! That's Right! As previously announced at the beginning of this Holiday Season, I mentioned that I was revising Tina LoSasso's domain name of 'MakeItSoMarketing.com'. That's because I had taken that domain name and used it for our online store division. Then I had used that domain name in thousands of references in the eBay version of our Blog since 2006. Well, with eBay closing down 'their blog format' this past October 31st, that meant that the thousands of archived blog posts with that domain name mentioned were no longer pointing toward our online eBay Featured (Premium) Store. So, when Tina asked about increasing the presence of MakeItSoMarketing.com as her book launch and promotion site, this seemed to be a good period of time to do some de-construction and reconstruction of web sites! Note: ComicBooksCircus.com came about because back in 1999 I had named my own eBay sales page a generic 'comic book marketplace'. 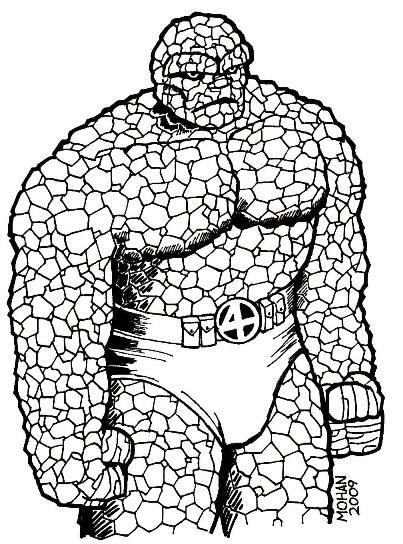 Gary Carter, who then owned the magazine 'Comic Book Marketplace' (CBM) based in Coronado, California, asked me if I would change the the generic reference to something else so there would be no confusion. That's when I came up with the many 'tents' idea of web pages in my off-eBay web site. It only seemed natural to have a 'Big Top of Comics' to 'house' those 'tents'. So I built a portal (home) page for the site and started adding multiple pages with different genres of comics, ending up with over two dozen pages in the web site! However, I found that listing comics in my own web site and also in eBay auction listings a little too time consuming while working a full time job. So when eBay started the 'stores' format of listing, I went to that style of listing. Ebay didn't like non-eBay links on their pages after time went by... so I decided to just emphasize the eBay store with my email addy, letting the ComicBooksCircus web site dwindle down in size and scope. Then I just started referring potential buyers to the eBay Store from the ComicBooksCircus web site 'tent' pages itself. So, starting this week, and going into the new decade, I'll be revising the old web site, and re-directing those 'tent pages' to the corresponding eBay store page that carries that 'genre' of comics. What was once Old is now New Again! Funny how things seem to go around in cycles, or is that circles??? Besides having an exhibitor table at a virtual comic con, (Facebook Comic Con), I've now got what feels to be another exhibitor table at the eBay 'comics show'. All I need now are 'real' creators signing there! So, very soon http://www.ComicBooksCircus.com and corresponding pages will only be going to the eBay Featured Store, and http://www.MakeItSoMarketing.com will be going to Tina's Corporate web site only, which is almost ready for re-launch. Of course there will be some additional links at that site pointing viewers to Tina's and my other endeavors because it does take search engines a while to re-discover links! Whew! A lengthy explanation, but I wanted to explain why the change in scope of this Blog for the past few days! PLUS... Be sure to check out our own new listings of comics, graphic novels, Comic Con exclusives and more pop culture items for sale in Our online eBay Featured Store that I mentioned above today. That's http://www.ComicBooksCircus.com with the 'New/Old' name of course! It's due to sales at this online store that keep us going with the ability to post blogs like the one you have been reading here! 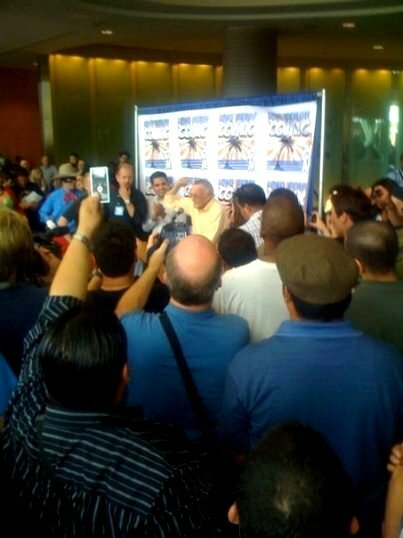 2009 LONG BEACH COMIC CON PHOTO: I mentioned in today's "Main Feature" that having a web site is much like having a comic con, except you don't have other creators there in person, attending your 'web site con'. Which is why I enjoy attending 'real life' comic cons, and lately especially walking through Artists Alleys and Small Press sections! There I find a lot of projects I probably wouldn't have been exposed to. Most of the past few months worth of blogs have been from publications given to me at Cons Tina and I have been to. In addition to meeting the creators at the Comic Cons, I also take photos of them at their tables in case I come across a publication that has their work in it. Or if the creator or their publisher sends me a possible review copy later. 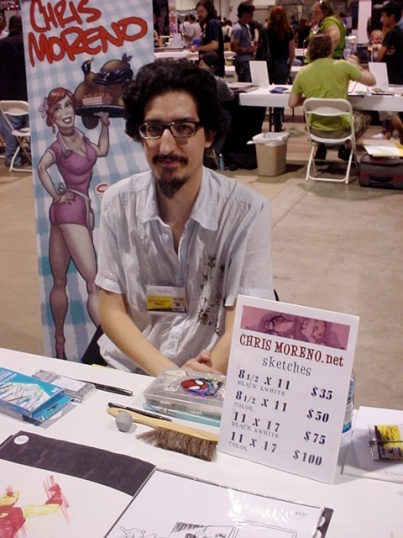 I haven't read any of Chris Moreno's work to date, but wanted to post a mini blog on him, as he took the time to pose a couple of photos at the recent LBCC. I noticed that he has also penciled a few series: The Hulk 100 project, Grimm Fairy Tales, Paul Jenkin's Sidekick, Zombie Tales - The Dead, and other projects. 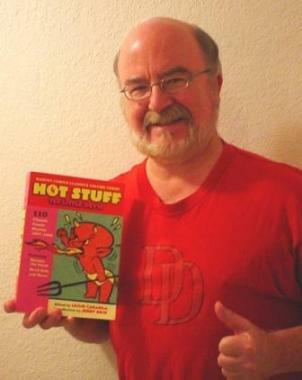 He has also inked other series, and has been a colorist. 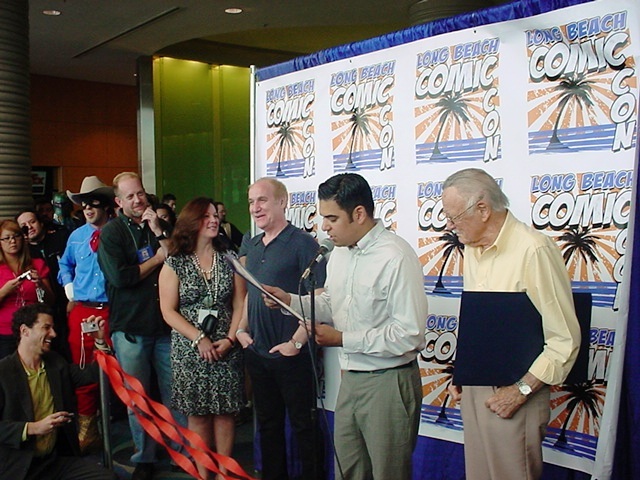 Thanks Chris for taking the time to talk with me briefly at the 2009 LBCC! Best wishes to you for a great 2010!